Sylvie Alès works the earth as the Mediterranean potters, most probably women, started to do in the Neolithic period, keeping alive both the traditional glazing and faience pottery techniques from that era. 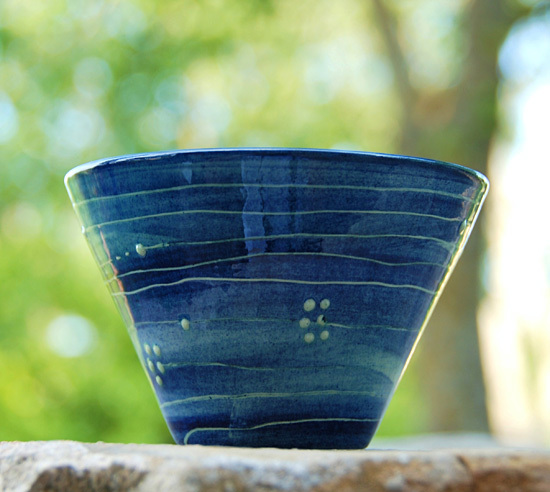 She continues her work in faience which she began 20 years ago: adorning dishes, plate and tiles* with original decor, while also exhibiting a collection of blue and polychrome tiles in the style of those made in Moustiers in the XVIII century. 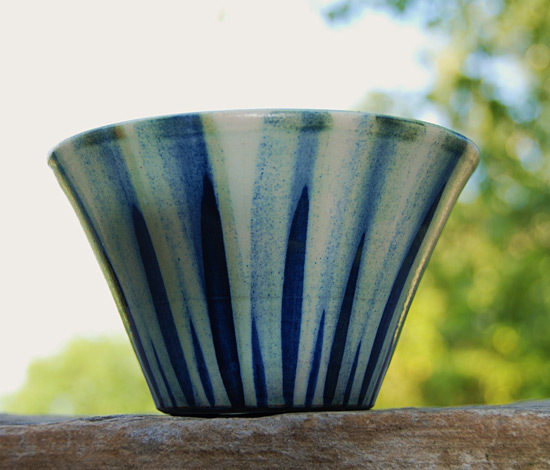 Traditional faience pottery, renewed. 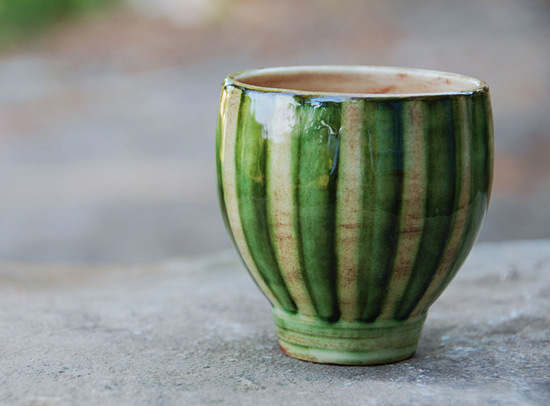 Today she presents her terralhas, fully executed curves and harmonious shapes, soothing, enchanted by the infamous ochre, greens and blues of Mediterranean ceramics that have nourished her spirit for decades. 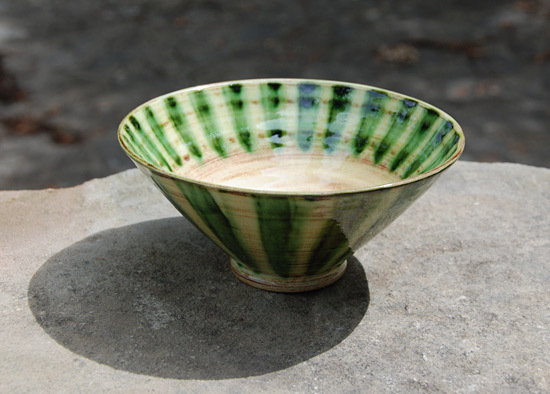 Unexpected glazed earthenware. 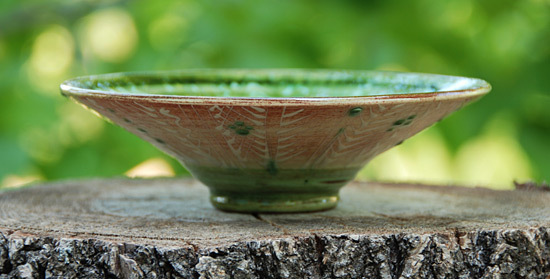 Glazed earthenware: the pot is made from clay, thrown or modelled. When it is almost dry it is coated in engobe, a white clay slip upon which metal oxides and coloured earth are then placed by brushing, barrolet or with a pear shaped squeeze bulb. 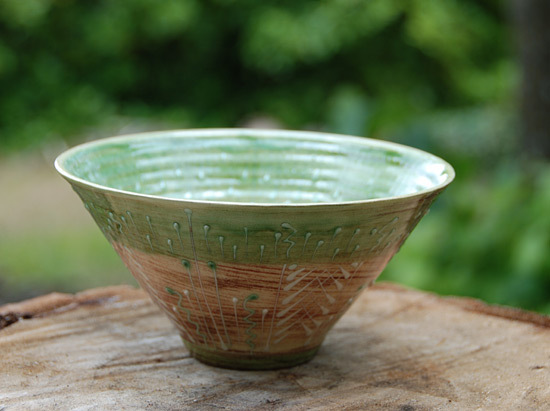 The clay slip may also be scratched through to reveal the colour of the underlying clay in a technique known as scrafitto decoration. 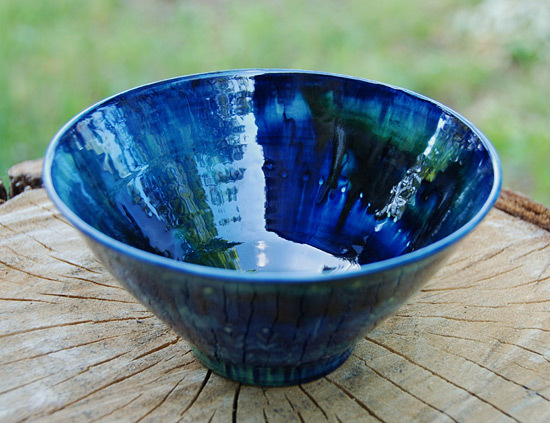 Finally a transparent glaze is applied by dipping or by brush, to render the pot impermeable to water and other liquids. Then the firing process, which in times gone by was done just the once, revealing the underlying yellows, the green, blue and manganese of the oxides, the heat of the fire allowing the colours to sing. 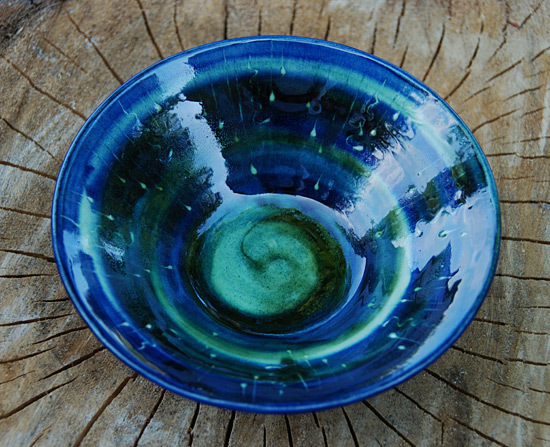 Faience pottery: the shapes are thrown or stamped, fired once, then dipped in an opaque enamel. The object is then decorated using coloured enamels and oxides that are applied by brush directly onto the raw enamel coating. 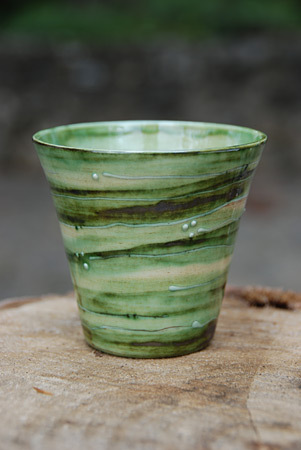 A second firing process glazes and vitrifies the object, revealing the fineness of the brush stroke and the strength and depth of the colours. 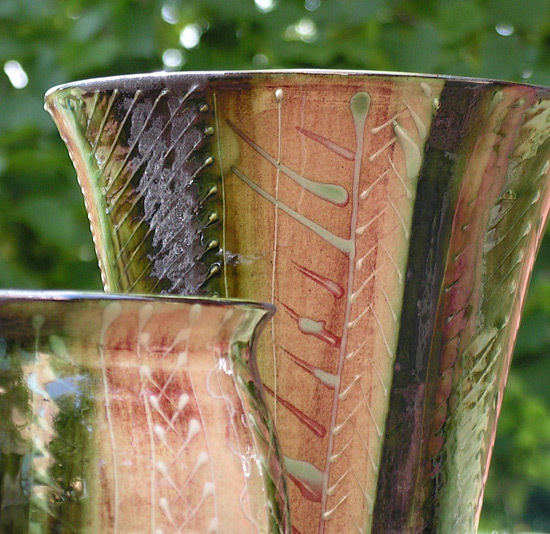 *In Provence, the term ‘malons’ covers all fired or enamelled earthenware destined as floor tiles, while the word 'terralhas' encompasses all pottery.